Exciting idea. Taking lessons should ideally be a decision coming from your child’s desire to do so. Try first. If you are not sure whether your child is ready, try one or two lessons first. This will give you an idea, and ask your teacher for a feedback too. What age to start. There is no definite answer to what age lessons should begin. It depends on your child’s learning development stage. Yes, Your child can be five, however, from a learning development perspective, age six or seven is usually more suitable. Suitable time for lessons. Piano lessons should be scheduled on a day when your child doesn’t have other after school activity so as to avoid tiredness and lack of focus. How often to practice. Your child needs to practice at least 3 or 4 times a week in order to make progress. This of course leads to greater enjoyment and motivation. Your help as a parent. Your involvement in preparation for lessons makes a big difference. Choose regular times when your child can practice and stick to it if you can. Good piano ambiance. Create a nice piano space for your child. Make sure it’s quiet during the lesson or for practising and there is enough light in room – and a reading light for playing in the evenings. Good instrument. Get a good instrument for your child. If you have an acoustic piano, make sure it’s tuned, at least once a year. If your space is limited, get a digital piano and make sure it has weighted keys. Rent a piano. 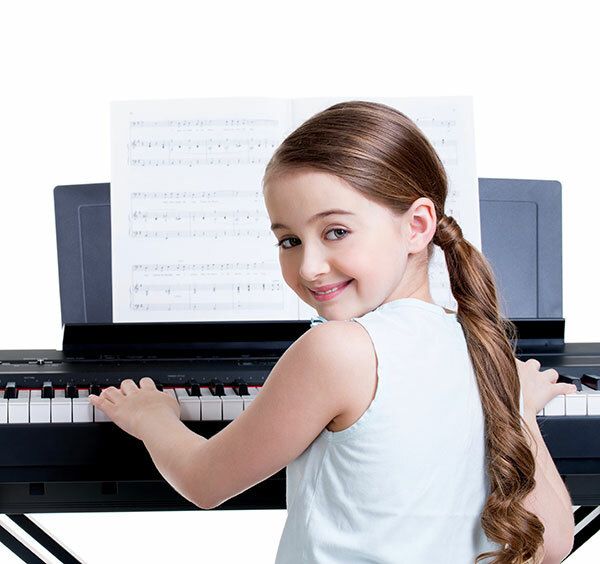 If you are not sure whether your child would be interested in learning long term, rent a piano for the first six months to assess his or her interest. Expectations. To enjoy significant results your child would most likely need to learn at least for two years. Contact Zuzana for advice here.